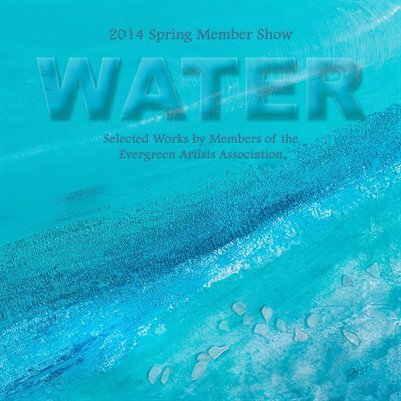 A beautiful 104-page collection of art, featuring the theme "Water" from the Evergreen, Colorado artist community. The annual member show included 52 artists from ages 12 to 92. Work from all artists are included in this compilation of incredible established artists such as Colorado favorites Margaretta Caesar, Erlene Irwin, Jody Rigsby, Mary Jo Nelson, Gail Frasier, Josh Trefethen, Tim Young, Carolyn Seymour as well as husband and wife illustrators Tom and Carol Newsom and even a couple of new up-and-coming junior artists. This is a beautiful inspiring book of images containing art in different mediums: Oil, pastel, fiber, photography, clay, sculpture, acrylic, mixed media, and jewelry.